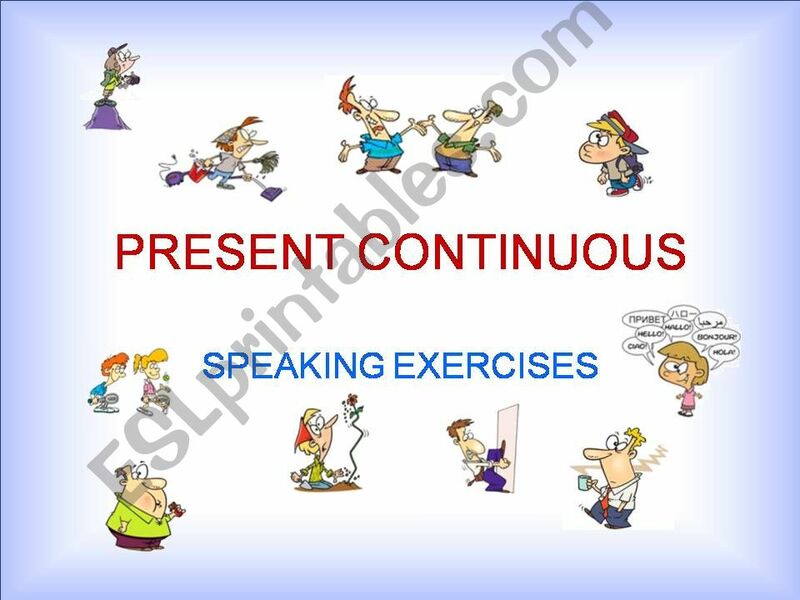 PPT + SPEAKING EXERCISES + GAMES FOR FUN To practice present continuous (positive, negative and interrogative sentences). Use worksheet to practice in pairs or small groups. Then use powerpoint to revise with the whole class. I first start with 3rd person singular: He is watching TV. She is driving a car. Then I use the same set for plural: We are watching TV. They are driving a car. Write the structure you want to practice on the board. Altogether more than 40 slides. Sorry, I had to break it into parts because of the size. Also useful for other verb tenses. Enjoy it & have fun.